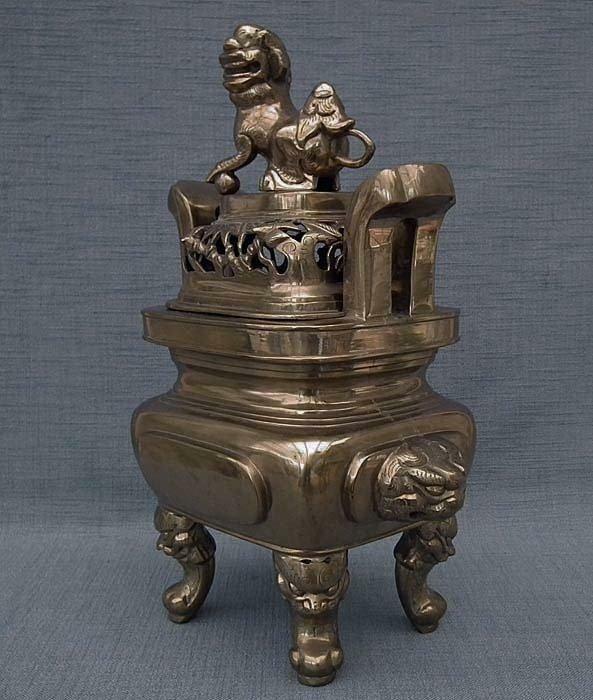 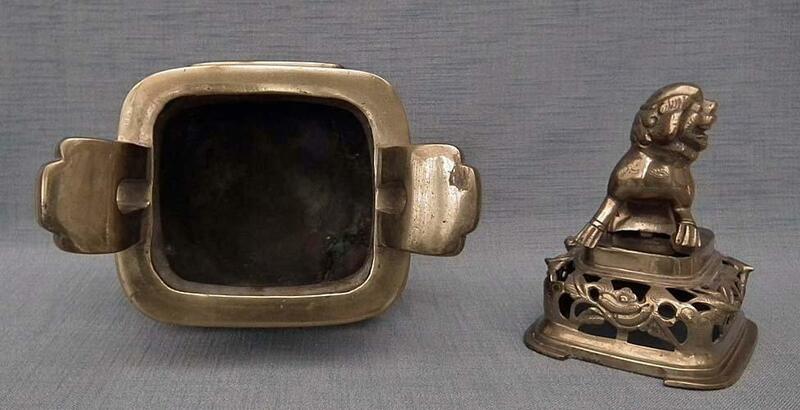 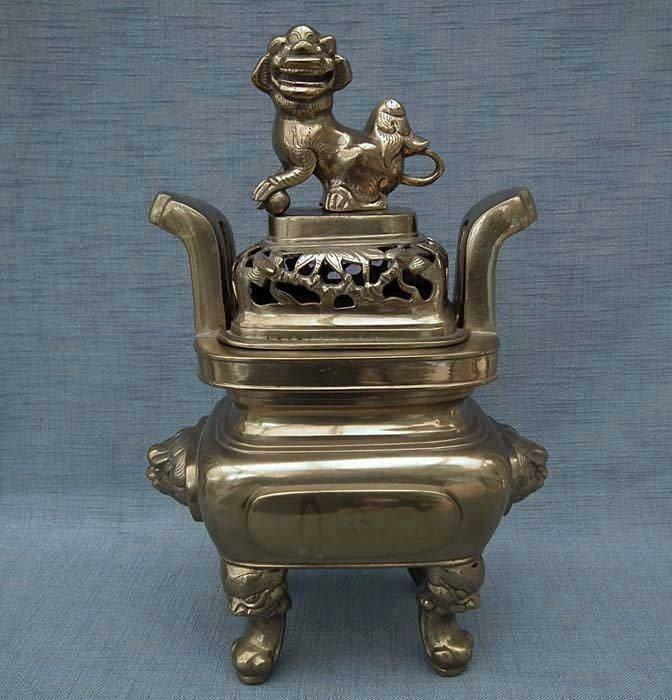 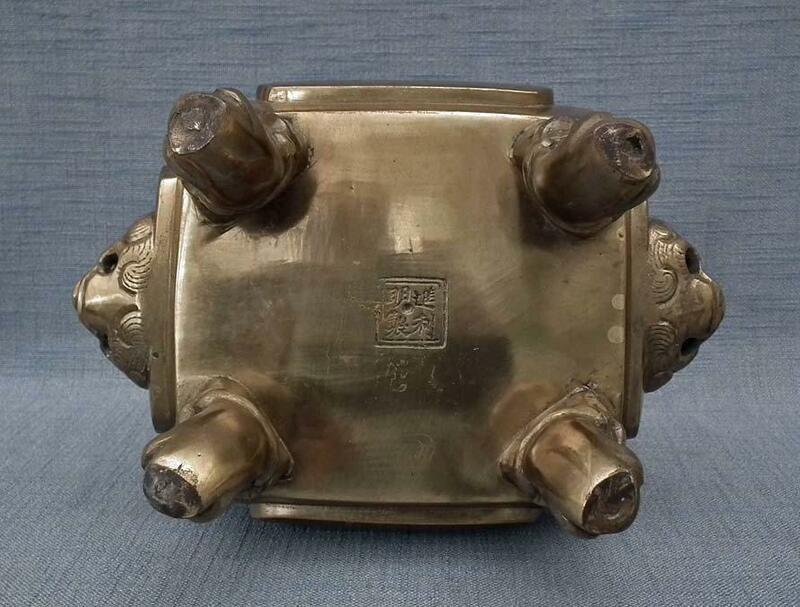 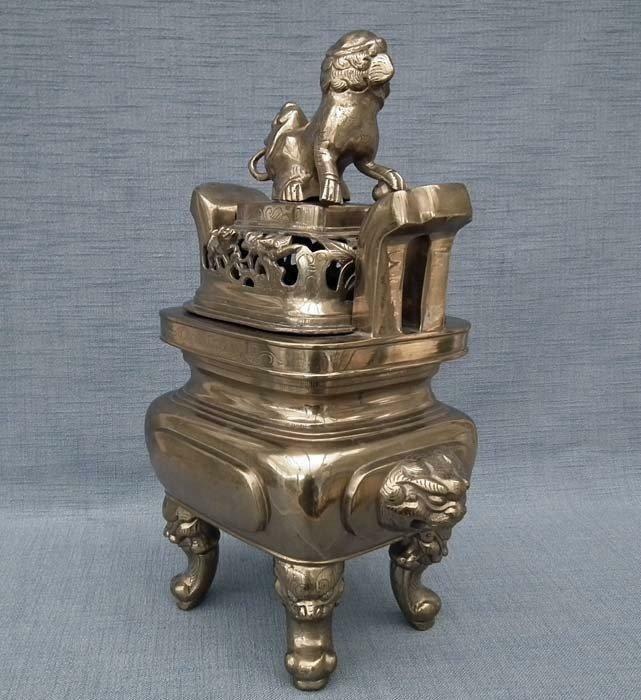 Huge authentic antique 19th century Qing Dynasty Chinese polished bronze or brass Censer - incense burner of compressed rectangular body festooned with two large mythical beast heads, is raised on four cabriole legs, surmounted by chiseled mythical beast masks, a short neck rising to a wide flanged rim and the sides with twin upright handles with open rectangular panels. 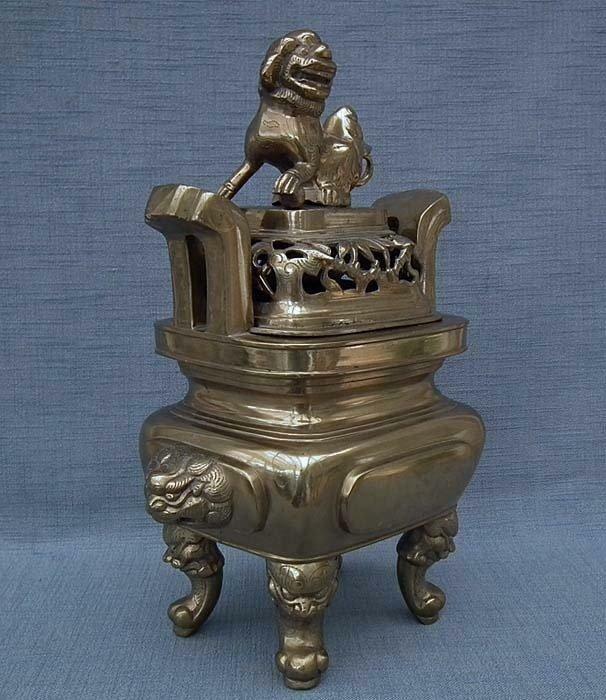 The domed cover is cast in high relief with openwork bamboo armament surmounted by a separately-cast and sculpture a Buddhist Guardian Lion - Foo Dog seated on its haunches with its left front paw raised on a ball, its scrolling tail flicked upwards. 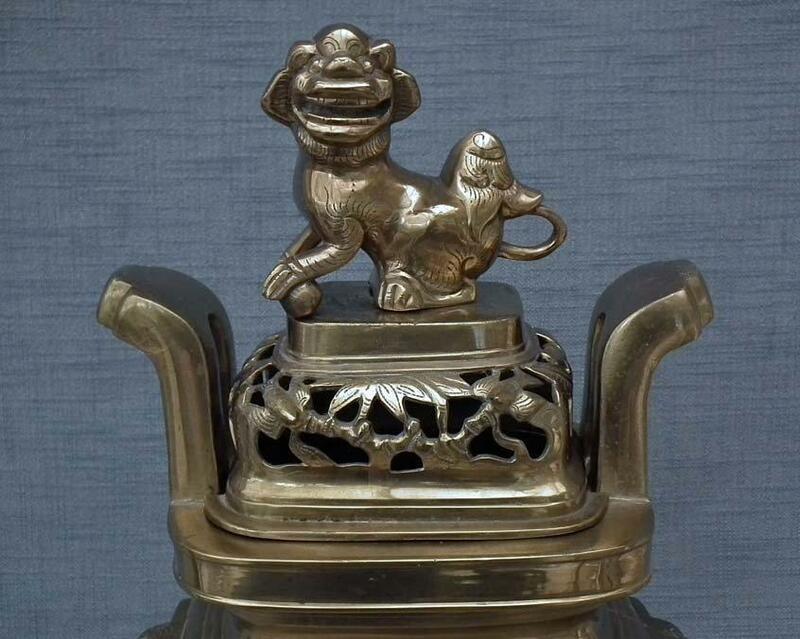 The lion is fastened to the lid slot by the key shaped bolt. 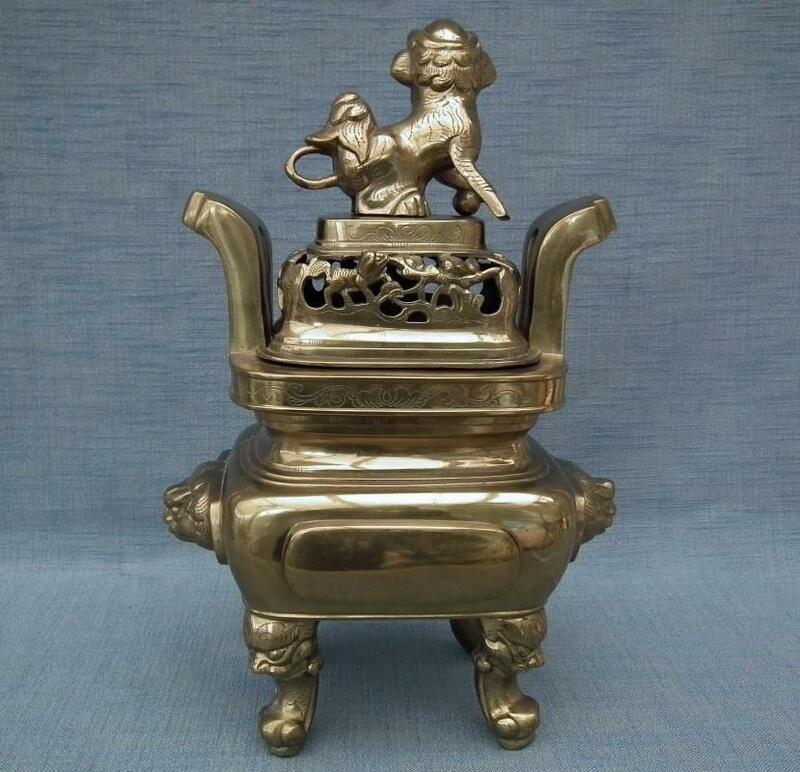 Height: 42.5 cm (16 47⁄64 inches).